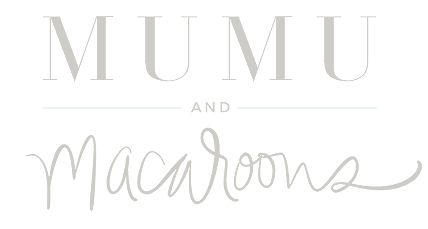 I cannot believe that Mumu and Macaroons turns one year old today!!!!! When I started this journey exactly 1 year ago, I had no idea what to expect. All I knew is that I loved fashion and needed some kind of creative outlet. I started this as a hobby, having NO idea what it would turn into. Exactly 1 year ago today, I took a leap of faith and finally started what I told myself for 5 years that I would; I started my own fashion blog. These past 12 months have been nothing short of amazing. It has been a roller coaster ride for sure. Some days I think to myself "what am I doing???" (like everyone does sometimes with any job) but most days I think about how lucky I am to be able to live out my passion and I truly wouldn't change one second of it. 1) I absolutely love fashion and I am able to share my favorite clothes/accessories with all of you. 2) I have learned so much about photography and have met and become good friends with some of the best photographers in the Charlotte area. 3) I am able to travel more and share my experiences with all of you. 4) I have met SO many other amazing bloggers who have truly become some of my best friends and share my same passion. 5) I have been able to write and share my heart with you guys. This is something that has been the biggest blessing throughout my journey. I have written about very real situations in my life and you guys have given me SO much love through all of it. Writing for my blog is very therapeutic for me. 6) I have met so many amazing owners and employees at some of my favorite boutiques and companies. The relationships that I have been able to build just within the first year are priceless. 7) I have been able to network with so many people in the Charlotte area and have been able to meet so many other amazing entrepreneurs and business owners. 8) I have been able to make this my full time job (something that I will forever be so grateful for)!!! 9) I have found a way to turn my passion into a business which is one of the most amazing things that has ever happened to me. 10) I have been able to attend various events that I would have never been able to attend before such as New York Fashion week (coming up in 2 weeks) and the RewardStyle Conference in Dallas this April. 11) I have been able to build such a positive network of other women who constantly lift others up. I said this earlier but I have made so many amazing friends through blogging and they are each so inspiring and uplifting. Theres girls embody what it truly means to kill jealousy and competition and to really push each other to strive and be the best that we can be. 12) I have the BEST followers in the entire world. Seriously, each and every one of you mean so much to me. So many of you have reached out to me, sometimes saying things so sweet that it brings tears to my eyes, and I can't say enough how much I appreciate you. I have said it once and I will say it again, this past year has been INCREDIBLE. Never in a million years would I have thought my blog would be where it is today. 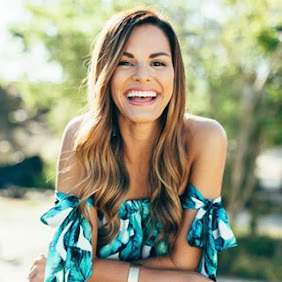 I am so grateful and so happy to be able to share my love for fashion, fitness and Jesus with all of you. To God be ALL the glory. Without Him, none of this would be possible. And without you guys, my amazing followers, this big dream of mine would never have come true. So THANK YOU from the very bottom of my heart. I cannot wait to see what this next year of blogging has in store. If there is anything that you would like to see more of on my blog please leave a comment and let me know. I want to continue to grow as a blogger and a person every single day and continue to bring you all, as my readers, everything that you want to see and hear. Thanks for trusting in me. I love you all so much! Congratulations!!! So this post spoke volumes to me. I’ve been wanting to start my own blog (lifestyle) one because it’s my passion to share my love of design, food, and fashion. I just moved to SC a little over a year after living my whole life in Massachusetts. So I will be starting up my blog after reading this post. I would love to maybe network with you on starting up a blog if your interested. In my research so far a blog is not an easy task to start up so seriously congratulations. I never realized until I wanted to start my own about how much goes into designing a blog, getting followers, getting affiliates etc. I’m not that far from Charlotte. What an awesome city too! Congrats on your one year anniversary!! I just started 6 months ago, and I am so incredibly happy for how well you have done in such a short time. God is Good!!! Keep it up girl! Wow I can't believe you accomplished all of this in just 1 year! Itd be awesome if you could do a blog post on each stage of your blog over this past year, like where you focused your efforts in the beginning to where you do now. Im sure lots of aspiring bloggers would love this, as would I! Exceptional talent, great job! I agree! I would absolutely love to learn from her and where she focused her efforts. I'm learning and realizing more each day how important that is when wanting to become a successful blogger! Congratulations! What an amazing journey the past year has been for you and your blog!